Filters are key components in a vast range of electronics. They produce crystal clear sound in music systems, clean up distortion in radios, televisions, and telephones, and are indispensable in medical imaging and scanning. 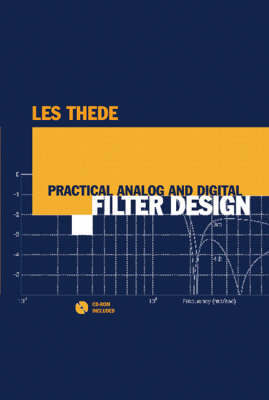 To aid every engineer in the many industries that rely on analog and digital filters, this book shows electronic engineers how to quickly master analog and digital filter design and implementation. This hands-on guide explains in practical terms all the essential mathematical functions so engineers can apply them directly to their own filter design problems. The book delves into real-world implementation issues, guiding readers away from common design pitfalls to successful filter development. CD-ROM Included! Contains Windows-base filter design, analysis, and implementation software so you can immediately apply filter theory to actual filter development.